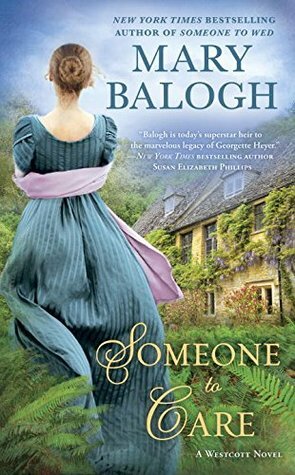 Someone to Care is the 4th book in Mary Balogh's Westcott series. It was a very strong book full of character growth and inner reflection. However, I was looking for more of a romance and a "make me feel good" book. With those expectations in mind, the book was pretty much a bust for me. Miss Viola Kingsley used to be a countess, until light came upon the fact that her deceased supposed husband actually married her bigamously a short while before his previous unknown to the world wife passed away. This knowledge put Viola and her children into some serious turmoil since everything about their lives was changed. This kick-started a feeling I think of not really knowing who she was anymore. She had always been the countess, or the mother, or the sister, but who was she? She felt as though no one cared about about her just as Viola. This inner confusion led her to "escape" a family christening and flee for home early. Unfortunately for Viola, her hired carriage ended up needing repairs mid trip, so she finds herself in an obscure little town on the day of a local fair, alone. Marcel Lamarr, Marquess of Dorchester, coincidentally finds himself stranded in the same little town with his younger brother. He is surprised to see Viola, the woman who told him to "go away" 14 years prior when he was in what I would call "puppy love" with her. He has not spoken to her since that day, but is intrigued enough to try again, especially since he knows of her supposed husband's death. He sends his brother off with his carriage, and he and Viola spend an impromptu day together at this local fair. Marcel is not without his own past demons and is known as quite the rake who has been with numerous women. And Viola lets herself live a little and let loose the tight reins of her life to be with him for this one magical day. At least that's how it began, then it stretches to a bit longer of a time table for their little love affair. Both characters have very active thoughts. 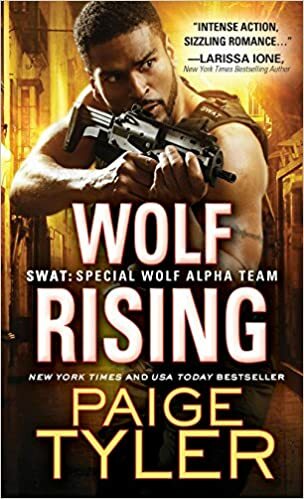 I felt like the beginning and some parts throughout the rest of the book took way to long to get through because of all the inner musings of the characters. I think the first 15% is the same scene played out twice from each Viola and Marcel's viewpoints that in reality probably was the time span of 15 minutes? That's definitely an estimate, but the idea is there. On the flip side, because of all the inner monologue, I did feel like I really got to know these characters. Mary Balogh really dug down to figure these two out so that you understand their actions. Both Marcel and Viola grow a lot in this book, and I admit that portion is very strong and well thought out. It just bored the heck out of me, and I really didn't feel the "love connection" because of it. One thing I did find interesting was in most romances the big moment is realizing you don't just love someone, but that you are "in love" with them. This book had a backwards take on that notion. Viola was looking for someone to love (or care) for her, not just be in love. It was a different perspective on the timing of a relationship that I liked. I did become increasingly frustrated with Viola not feeling cared for by her family. She says that she just feels cared for in her roles as mother, sister. daughter, etc. But she always took on those roles with such single mindedness, how did she expect anyone to know her true self when she kept it so tightly hidden? My favorite parts of this book were the portions of Viola and Marcel's family. I think that speaks a lot about the romance for my tastes. I really really hope Mary Balogh writes stories for Marcel's twin children, Estelle and Bertrand! I adored them a ton. This is a very strong and well thought out tale, but it just wasn't what I was looking for. I am still excited to follow this series, and love Mary Balogh's writing as a whole. She is a genius when examining characters and making you understand the way someone acts from their history and thoughts. Despite my feelings for the content, this book definitely is what I would call art. 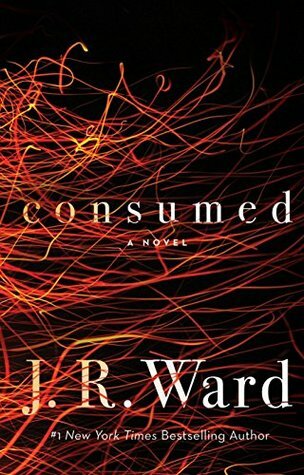 A stellar beginning to a new series by J.R. Ward will have you engaged, entertained, and pleading for more while riding the edge of your seat. Anne Ashburn is one hell of a firefighter, a woman that thrives on adrenaline, danger, and saving peoples’ lives. That is, until she isn’t, until a tragedy changes everything, shattering her dreams and vision of self. However, through loss one may find new opportunities for happiness and purpose in unexpected places and chances to nourish love that seemed unattainable before, assuming she can survive her new job. After all, how can a newly recruited Arson Investigator stay alive when the case she uncovers appears to be responsible for a multitude of deadly and unfortunate outcomes? Not only is Anne an unwilling target for criminals posing threats to her person, but for attention from a former flame, Danny McGuire. She thought that horrifying fire, that devastating loss and trauma, was the untidy and unhealthy ending to their one time tryst many months ago. One thing she never expected, was the Irish man with the beautiful blue eyes who she had once trusted, the one who had killed her career and saved her life simultaneously to be thrown back into her new world, the one she was building without her former companions, co-workers, and could-be-costly career as a firefighter. Furthermore, she certainly didn’t expect to realize that they needed each other. Not only to find peace, but to find a reason to breath, to fight, to live. With all of that said, I am sure it is no surprise when I say that this book is so well-written. The attention to detail, the world-building, and the setting were absolute perfection; I truly felt as if I were there watching the scenes unfold. I was thoroughly impressed with Anne and Danny, focused on their connection and so saddened by all of the terrors they faced. I believe that their shared trauma and history is what enhanced the story to such an extent that I felt so invested in their characters. The realism spoke to me on a whole other level that captivated, devastated, intrigued, and slayed me all at once. The diction was exemplary; I was completely and utterly riveted from beginning to end with each interaction whether it was between Anne and Danny, or between them and secondary characters. 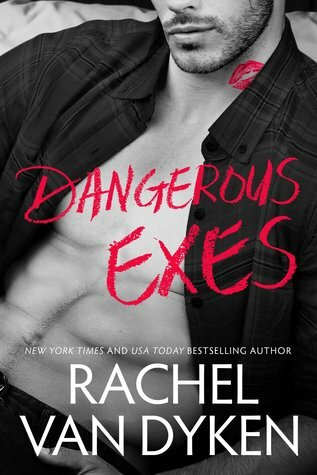 The angst, excitement, danger, fear, hope, love, and twists enthralled me! I felt everything. Truly, this story and all the players provided a stellar framework for a series that I cannot wait to continue. I am impressed and will be one of the first to order the next installment.